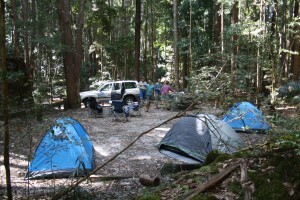 Camping on Fraser Island is a unique experience and one you shouldn’t miss. 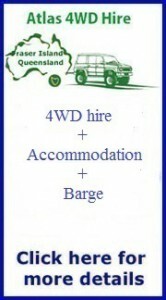 There is a wide variety of camping options to choose from. There is a privately owned camp ground and two national park camp grounds that are surrounded by dingo fences. You can also camp along the Eastern Beach in one of the designated sites and listen to the waves crash onto the shore. We supply cooking gear, crockery and cutlery, washing up supplies, a gas cook top, tents, sleeping mats, gas bottle, table and chairs so you will be well-equipped to experience camping on Fraser Island.